Since Apple announced that iCloud would bring free email, calendar and contact syncing, I started counting down to when I could cut my ties with Gmail. I don’t trust Google with my data, haven’t for quite some time. I considered a few other options like Fastmail and Atmail, but the simplicity that Apple offers in both cost and setup kept me waiting. When it comes to trust, Apple has earned mine, simply because I am the customer, not the commodity. I was ready to drop my personal Gmail address and point it to my iCloud account, but I still want to use my addresses from my various domains like chrisbowler.com and ideacaf.es. All from one email account. If this wasn’t possible, moving to iCloud for my email usage might not be worth it. Thankfully, it is possible. Kind of. I ended up configuring my Macbook, iPad and iPhone to use iCloud as IMAP accounts in conjunction with using Media Temple as the SMTP server. Here’s how to configure it with Mail.app on any Apple device. In System Preferences, set up iCloud as Apple instructs you to. 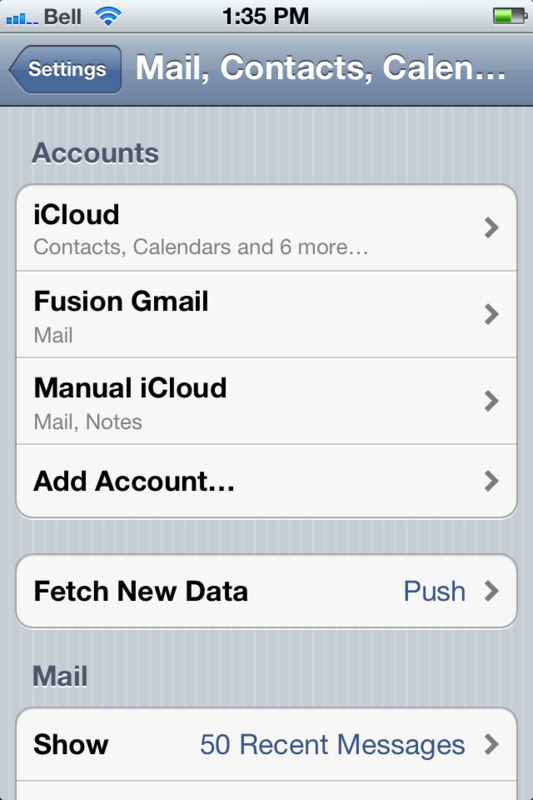 Then simply turn off the Mail toggle switch under the iCloud preference pane. You can see here how I’ve set up iCloud for contacts and calendars, but not email. Then add a new mail account and simply enter in the values manually. Apple’s servers for iCloud use the following for the incoming Mail Server: p03-imap.mail.me.com. For the outgoing, or SMTP server, use another provider. If you personally host your website with a service provider like Media Temple, then you have the ability to configure email accounts with your domain. 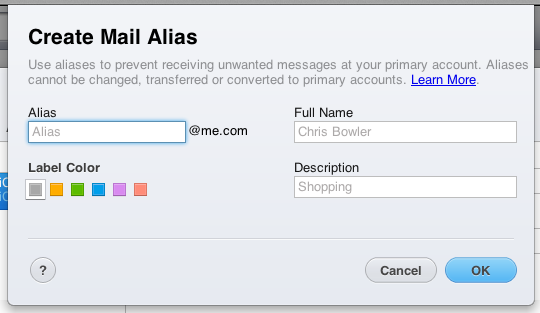 Last, you simply add the various aliases you wish to use with each account within your email client. 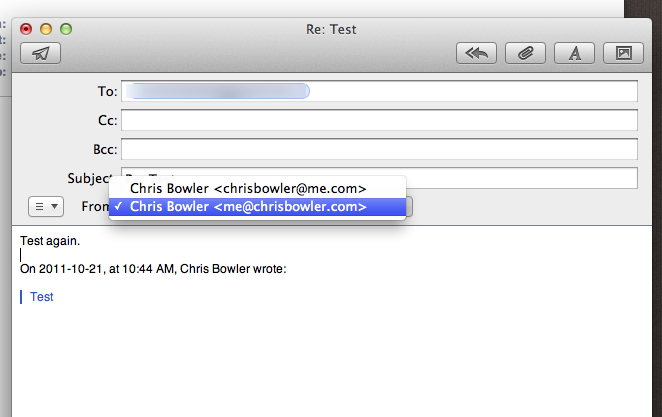 In Mail, you simply add the aliases with a comma after your address, then the desired alias. Any you add will be available for use when composing a message. I’ve done this successfully with Apple’s Mail, Postbox and Sparrow. It may take a little fiddling, but it is possible.